← Facebook, you’re slipping. An Infographic. 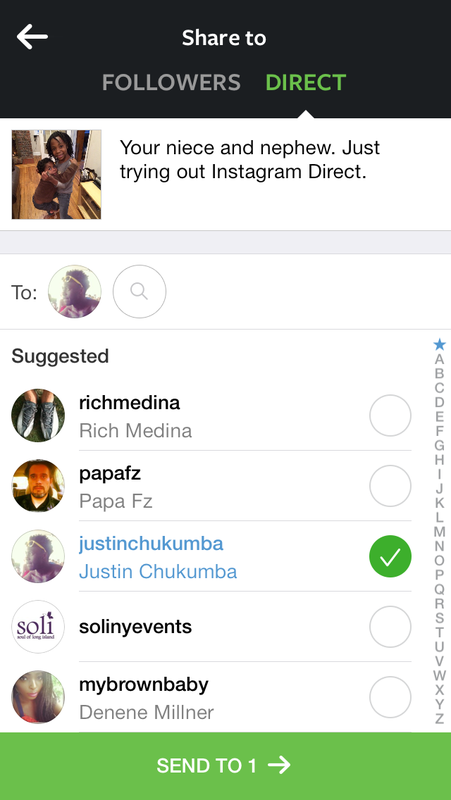 Instagram recently announced a new feature of their platform: Instagram Direct. Instagram Direct is a feature that lets users who follow one another send direct messages, which can include photos or videos, to each other. Where Instagram was once user images and video shared on a public broadcast feed, Instagram now offers users the ability to send images, video and text privately. And, more importantly, it enables users to conduct private chat, making the platform very Twitter-like. Conversations can be one-on-one or one to many (up to 15). The minute I heard the service was being offered, my mind went immediately to Anthony Weiner. 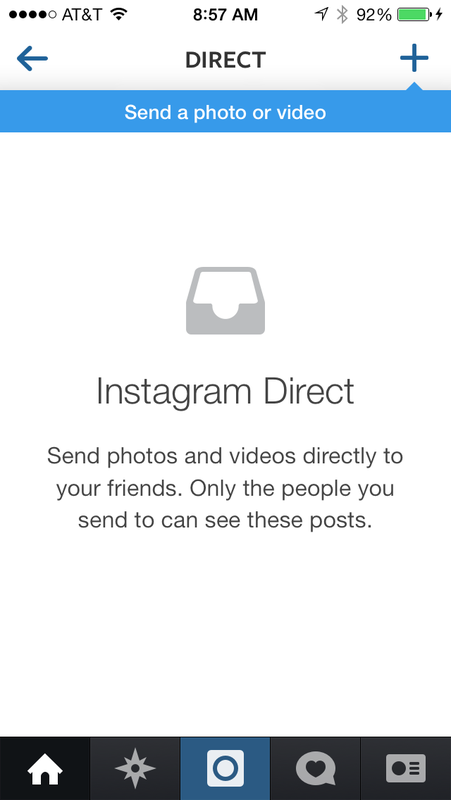 I mean what utility is Instagram Direct, really? Plenty, if your intentions are nefarious. 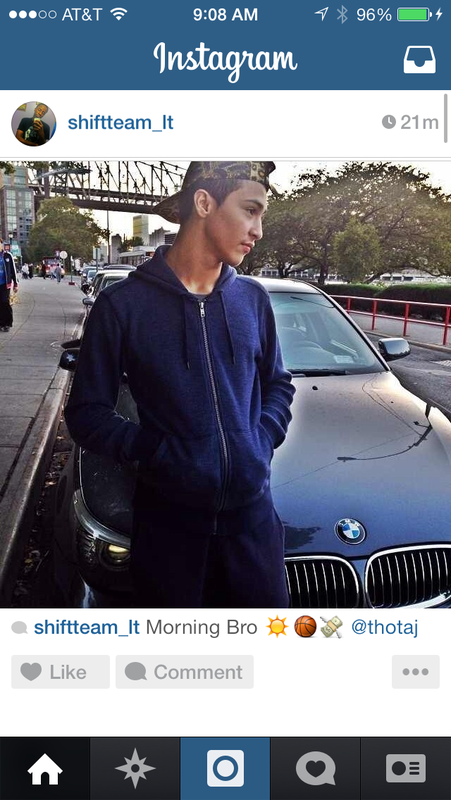 Instagram Direct is a boon for cheaters and the bane of their spouses and significant others. What better way to flirt than to send flicks of your unmentionables in a direct message? And without having your package exposed to the world via your public feed. See a girl or boy you like, send them a nasty message and a little bit o’ skin, see what happens. Before you know it Instagram Direct will be like Ashley Madison allowing users to find compatible freaks online. And without paying a recurring membership fee. Not that I know how Ashley Madison works…but I’ve heard. Anywho, I’ve yet to take Instagram Direct for a true spin, so this assessment is potentially replete with inaccuracies and misstatements. But I did walk through the process and have a few screen shots to share. 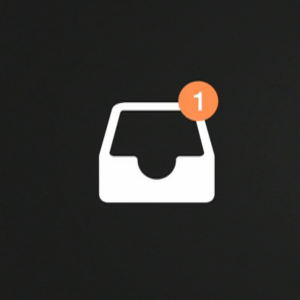 When you’re on your home screen on Instagram, there’s a new inbox icon in the top right corner. Clicking it opens up your “Direct” box. Click the “+” sign and you’re off. Your camera opens up and you can take or select a picture from your photo gallery. From there, you can scale & crop, add features, a caption/message and then select who you want to send the photo to from your followers and people you follow. 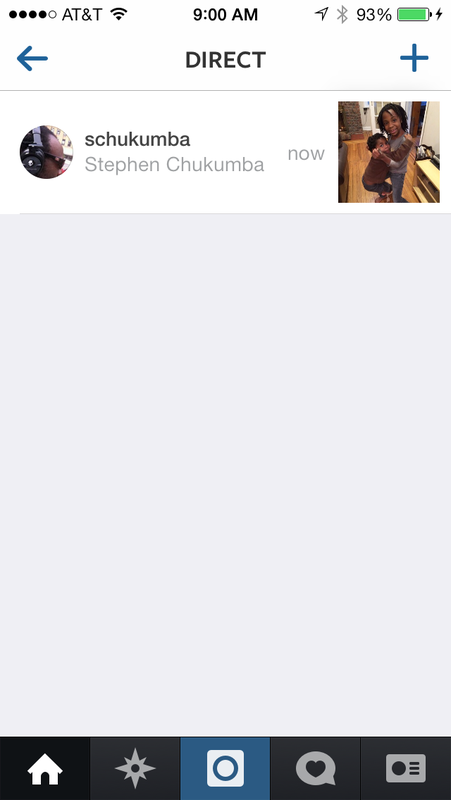 Instagram Direct keeps a tally of the number of people you’ve selected with a “Send to #” at the bottom of the page. Click the green “send to” bar at the bottom and Viola! you’re done. While this seems like a good thing, Instagram Direct introduces a subtle threat to the formerly “private” nature of the platform. More specifically, cyber-stalkers can get at you directly. Instagram Direct gives the pervs, dweebs and weirdos, you’d otherwise remain blissfully ignorant of, the ability to get all up in your in-box/request queue. Instagram trolls (virtual voyeurs who stalk your Instagram feed but can’t comment or message you because they’re not your friends) can now legitimately send direct messages and pester you. By simply dropping an image or video, they can initiate unsolicited contact with anyone posting content on Instagram. Even though you still have the ability to ignore, block and/or reject that invitation (which is what an unsolicited message to someone you’re not friends with becomes) you’re now going to be confronted with their freakish pleas for attention. If they get too pesky, you can block them like on other services, so it’s not that big of a deal (says the unpopular boy). I’m not a big Instagrammer so Instagram Direct is a social media trend lost on me (from a purely utilitarian perspective), but if you think it’s the next big thing, I’d love to hear about it. Better yet, Instagram Direct me.